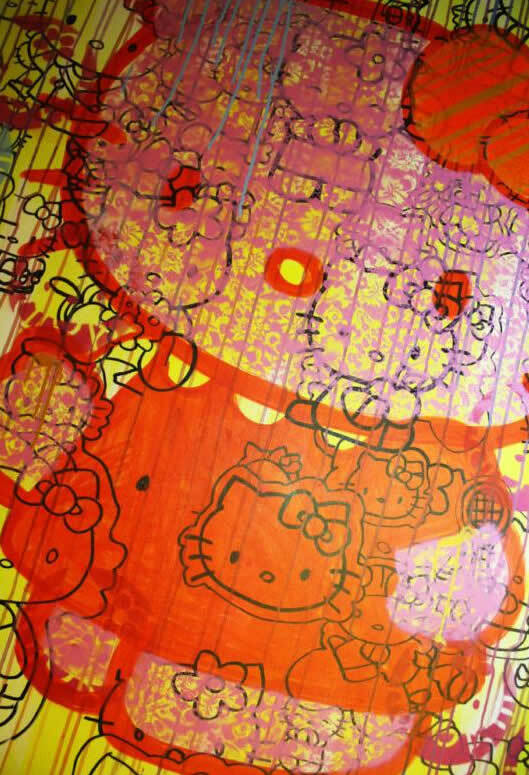 If there was one field that I thought was safe from Hello Kitty mania, it was painting. 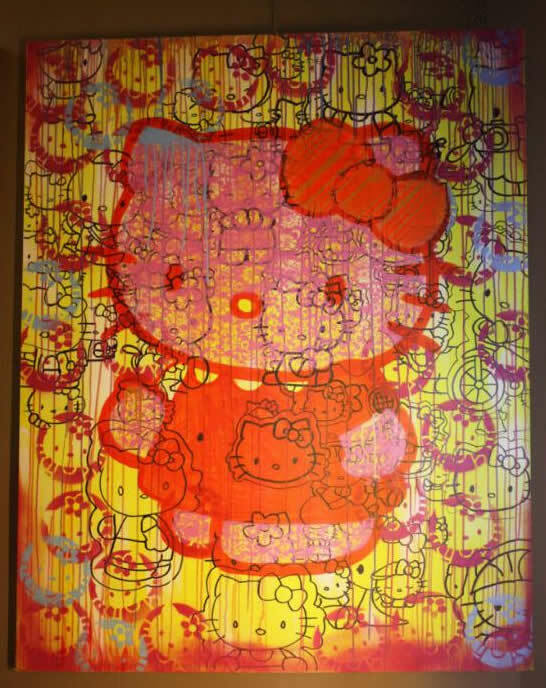 But all my hopes were shattered when I stumbled across this $1.25 million artwork of the famous Japanese icon. That’s right girls, a painting of your favorite kitty is being auctioned off on eBay for the “bargain price” of just $1.25 million. And if you, by chance, think that’s too much, you should know the price has gone down from $1.5 million. 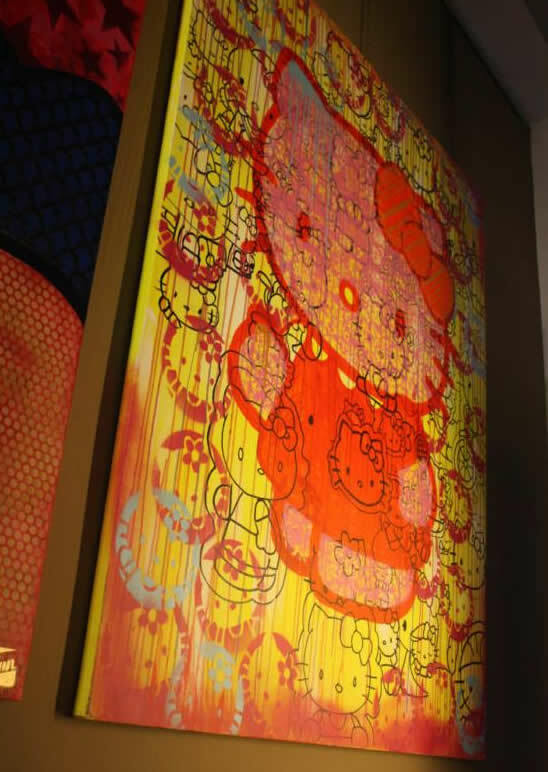 I mean come on people, it’s not just any other Hello Kitty painting we’re talking about, this is in fact the world’s largest Hello Kitty painting, measuring 4 feet by 5 feet. The auction page reads “this would make a great gift for that little girl you love so much”, but unless they were referring to Paris Hilton’s dad, I doubt anyone will by this as a Christmas gift. I don’t know if this matter to you or not, but the painting was done by American artist James Dillon Wright, also known as Dillon Boy.